I don't even know what to say…that was some great teaching!!! I was aware of the need for mediation and it's great difference in the Christian realm versus the Eastern mediation understanding, but with the scripture included, well, I just thoroughly enjoyed the post and learned much…thanks for taking on this task and I hope to keep up with it! Kristie asked my to try and copy and paste my comments from yesterday to today (wonder of wonders!) I was able to figure out how to do it. Got started on the book and am loving it! I loved the statement that “the doctrine of instant satisfaction is a primary spiritual problem” and that “the desperate need isn't for more intelligent people or for gifted people but for DEEP people.” How often I'm left feeling something was missing…because we didn't get beyond the superficial stuff…we didn't get DEEP…I didn't get deep. In the beginning of the meditation chapter he notes that the Adversary of our times “majors in three things: noise, hurry and crowds.” How often I've come away from a noisy, crowded place feeling like I've wasted precious time, that I didn't make any REAL connections with anyone. How AWFUL to come away from spending precious time with the Lord of the universe feeling that I've only touched on the superficial and hadn't made a true connection. Unfortunately, the word “meditation” has often (for me anyway) conjured up some kind of “new age” nonsense. I like how he differentiated Eastern meditation from Christian meditation, the Eastern being about emptying the mind while the Christian is about FILLING the mind. Love it. 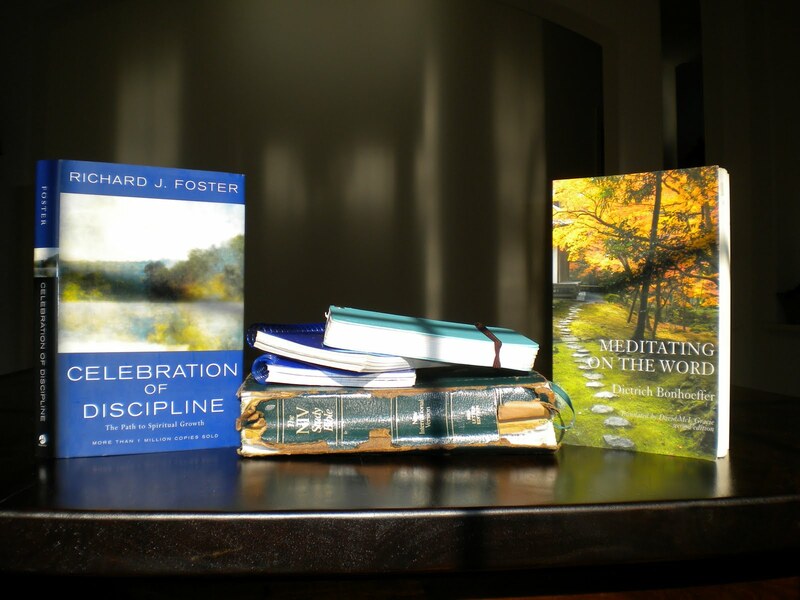 I took up his challenge to meditate on just one passage or verse. I had a piece of paper in my journal and decided that whatever verse was on it would be the one I would meditate on that day. The verse was Micah 6:8, “He has showed you, O man, what is good. And what does the Lord require of you? To act justly and to love mercy and to walk humbly with your God.” It was particularly special because A.) That “just happened” to be the verse Dane's school had chosen for their verse for the school year (they passed it out to everyone on a little business card) and, B.) Turned out I REALLY needed to practice some mercy that day…and a lot of humility. I'm thankful for the fresh conviction for a desperately needed “slow down” of my mind and lifestyle…I know it's going to take LOTS of practice…but it's all about that first step…right?